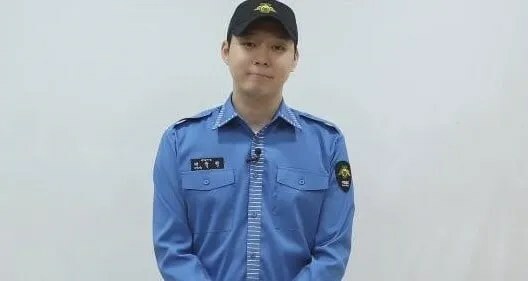 On August 25, JYJ’s Park Yoochun formally greeted his fans through V Live after being discharged from the military. Park Yoochun was discharged on August 25 at 6 p.m. KST. Originally his discharge date was set for August 26, but that being a Saturday, the date was moved up. #박유천#ユチョン#parkyuchun 입니다. 너무 오랜만이죠? #패션센스 여전합니다. 📍아, 그리고 허락 받고 찍은겁니다. It is #박유천 #ユチョン #parkyuchun. Hasn’t it been too long? #fashion_sense is unchanged. 📍Ah, and it was taken with permission given. We are running #SportsDonga #S[ports]Dong[a] #enter[tainment] . Before Park Yoochun’s birthday, many from the fans as a congratulatory gift, are sending food and drink as a present to the public office where Park Yoochun serves, visiting directly in front of the office and handing over the present, situations such as these are increasing. As the public office is a place where many of the citizens come and go, to visit the office or waiting for the artist or presenting food and drinks, when bringing them etc., it will cause trouble for the co-workers serving together. Accompanying this, Park Yoochun will result in troubling situations, we kindly request of everyone so as to have self restraint. From here on in case of fan letters, if you send it to C-Jes Entertainment’s main office, we will safely deliver it to Park Yoochun. We are thankful for the many love and concern of everyone of the fans. [INFO] Yuchun’s job title at Gangnam District Office is? The Chief Privacy Officer –to which its abbreviation is CPO– signifies the person-in-charge of personal information management. The title is also known as the Chief Information Officer, and another name for it is the Cyber Security Sheriff [T/N: the literal translated term]. Although there is the duty of managing personal information in the legal, human resources (HR), information technology (IT), business sales, marketing or etc. department of an enterprise; the person is exclusively responsible for private information with the advancement of the Internet and is a new type of specialist who’s emerging as a necessity. The person finds and modifies policies that are breaches in the government’s privacy protection provisions and laws; and has the tasks of preparing to defend membership information and such from cyber crimes, like hacking. He or she also provides educational data for the protection of private information and is involved even in standard development operations. [PHOTO] Thank you for coming many times, ma friend 6002! !